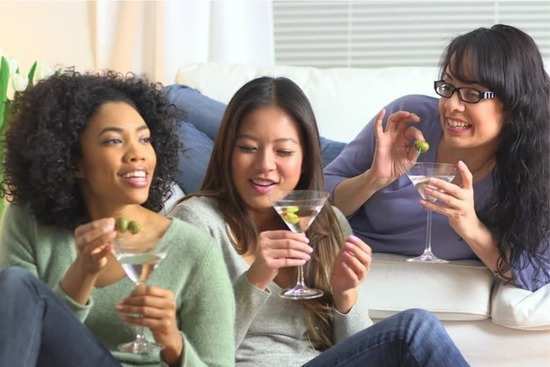 HomeLifestyleDid you know that just like Valentine's Day there's also a Galentine's Day? Did you know that just like Valentine's Day there's also a Galentine's Day? There is something that is known as Galentine's Day and all you single people out there are going to love it! No, we did not misspell Valentine's Day, there is something that is known as Galentine's Day and all you single people out there are going to love it! Valentine's Day marks a day where lovers give each other special gifts or express their love for one another. But who says that love is only limited to a significant other? This is where Galentine's Day steps in. Much like people celebrate Valentine's Day, Galentine's Day is dedicated to all the girls who love their besties and just want to celebrate their love and appreciation for each other. The concept of Galentine's Day was actually introduced on a popular American TV show by a character who says, “... It’s only the best day of the year. Every February 13th, my lady friends and I leave our husbands and our boyfriends at home, and we just come and kick it, breakfast-style. Ladies celebrating ladies. It’s like Lilith Fair, minus the angst. Plus frittatas.” And since then, the concept has only been gaining popularity. Galentine's Day is celebrated on February 13 which is one day before February 14 which marks Valentine's Day. So, ladies now that you know about this concept, why not give it a try? Here are a few things you can try with your besties. You could plan a movie marathon, you could go pub hopping, you could even try a road trip. And if all of you could afford it, you could even go explore another city. Isn't that just great? Stay tuned for more updates. Has #MeToo changed how we dress for work? Pizza or pasta? Which is the healthier one? 1Did you know that just like Valentine's Day there's also a Galentine's Day? 3Has #MeToo changed how we dress for work? 9Pizza or pasta? Which is the healthier one?